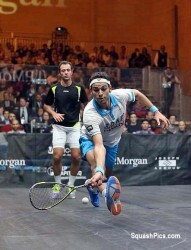 World No.1 Mohamed Elshorbagy ended all hopes of Amr Shabana retaining his J.P. Morgan Tournament of Champions title with an impressive 3-2 victory over the 35-year-old in what was one of the most impressive matches ever seen at Grand Central Terminal in the competition’s eighteen-year association with the iconic venue. 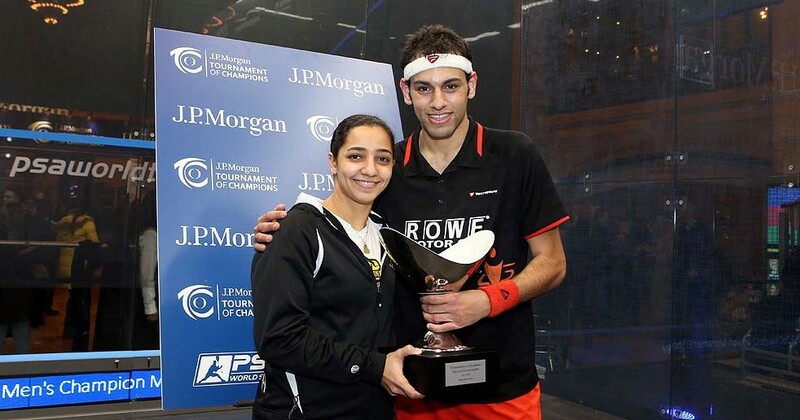 Shabana was in sublime form throughout the contest, finding his range from the opening exchanges and pulling out all of his trademark winners to dazzle the capacity audience and give Elshorbagy, 11 years Shabana’s junior, all sorts of trouble but the younger man showed just why he is number one with a defying display of retrieving as he dug deep to complete a remarkable victory. 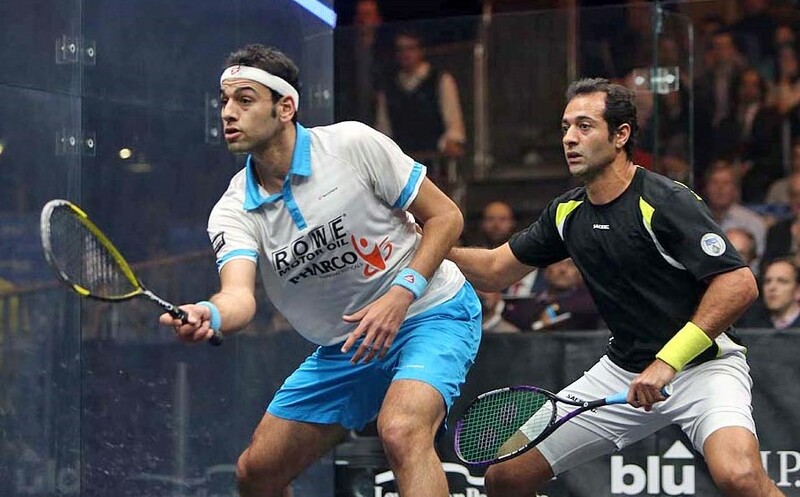 “When you play against Amr you have to accept that he will make you look like an idiot on court at times and I accepted that today,” said Elshorbagy. 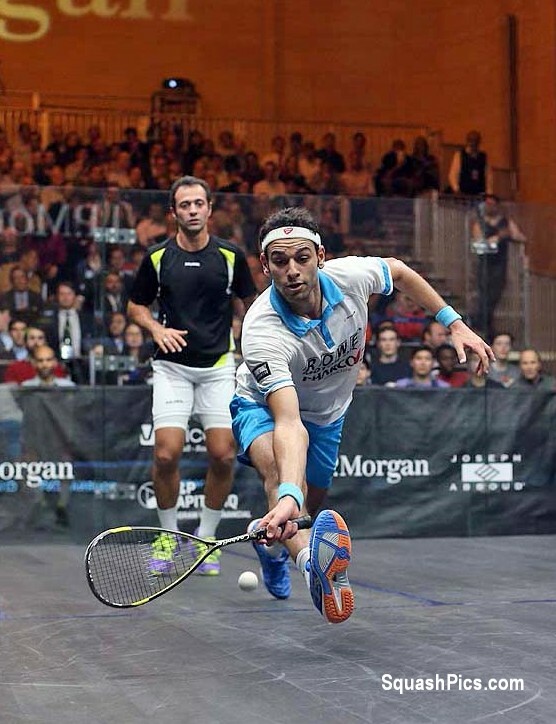 “You can never look good when you play him because he is the most talented player on tour. To beat him I just had to hit and run and keep going and giving everything to get the ball back and it worked. Elshorbagy twice went behind to the four-time World Champion but used all of his pace and six-foot-plus reach to keep himself in some of the most punishing rallies seen so far during the tournament and it paid dividends for him when, after levelling the game at 2-2, he took the sting from Shabana’s relentless attacking play and managed to find just enough in his locker to book his place in the final to face England’s Nick Matthew. 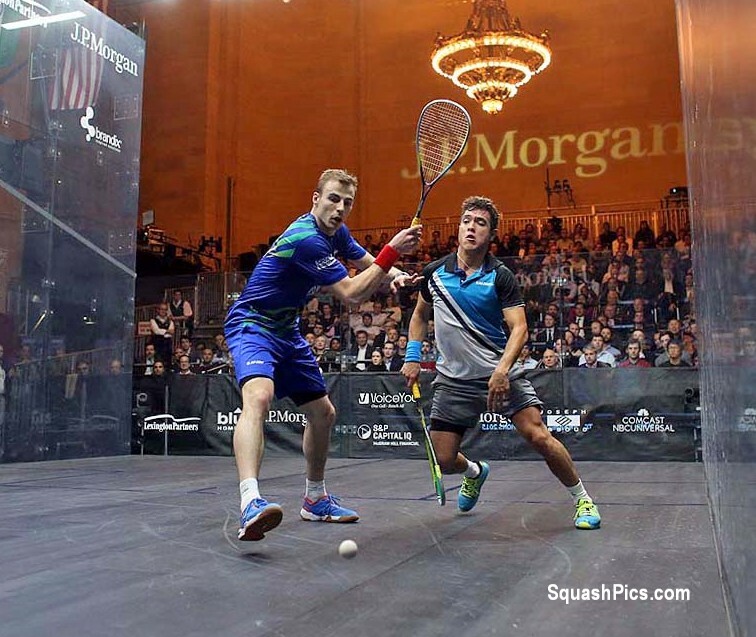 Matthew ensured he remains in contention to claim a second title in New York, to add to his 2012 ToC triumph, with a dominant 3-0 win over high-flying Colombian Miguel Angel Rodriguez – who had beaten World No.6 Peter Barker and World No.2 Gregory Gaultier to reach the semi-finals. “It was good fun out there tonight against Miguel,” said Matthew. “Sometimes it felt like there were four of him on the court he’s so fast. 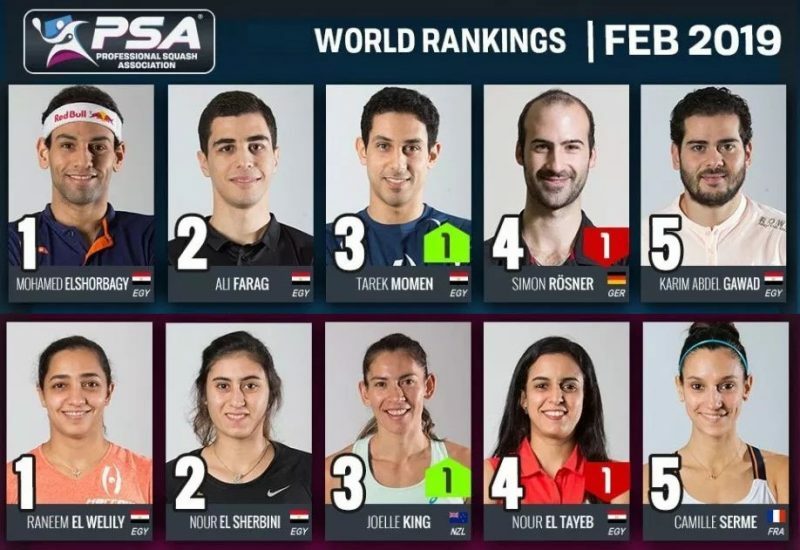 Third seed Raneem El Welily and fifth seed Alison Waters stunned higher-seeded opponents in the semi-finals of the Women’s J.P. Morgan Tournament of Champions to set up a surprise final of the WSA International 100 squash event at Grand Central Terminal in New York. Tenacity, composure and strategic play earned Waters her first trip to the climax of the prestigious championship played on an all-glass court in the iconic station’s Vanderbilt Hall. 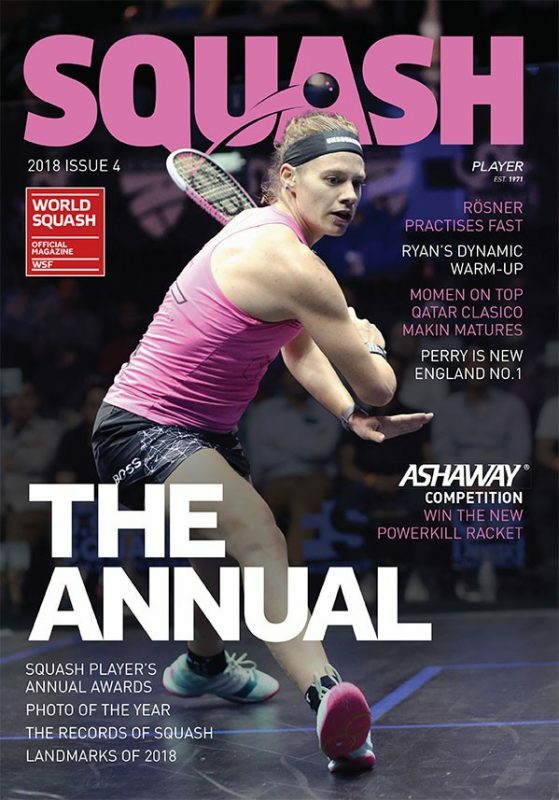 The journey to the championship match had several ups and downs – and ended with a dramatic finish as the world No.5 from England had to save three match-balls before claiming victory over fourth-seeded Egyptian Nour El Sherbini. 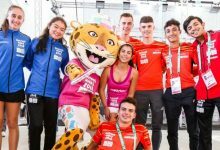 The Egyptian teenager was anything but tight at the start of the match as she led the entire way in the first game to take it 11-8. Undeterred, Waters claimed the second in a tie break. 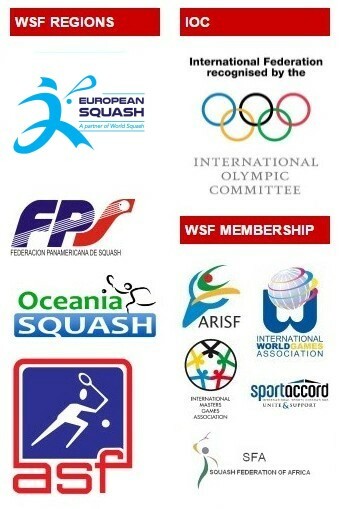 Sherbini roared back in the third, 11-5. 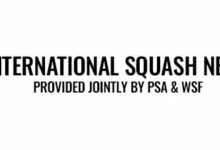 After going up 10-5 in the fourth, Waters let four points slip away before she closed the game out at 11-9 to draw level for the second time. Sherbini seized the momentum in the fifth, breaking out to an 8-4 lead, before Waters answered with her own four-point run to tie the match. 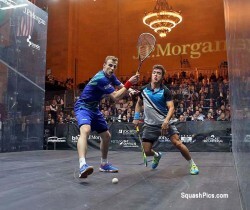 After saving two match balls at 8-10, then another at 10-11, Waters closed the lid on the match, 13-11. “It feels especially good to back up my win last night over Nicol David with the win today,” said Waters, now in the 21st WSA World Tour final of her career. 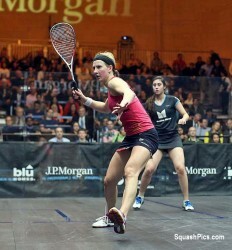 El Welily eliminated Laura Massaro, the second seed from England, in four games. 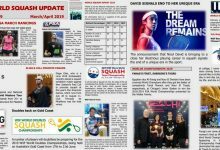 Massaro started strongly and was playing with authority and purpose during the first 12 points of the match as the players stayed neck and neck through to seven-all. The Cairo-based Egyptian then took control and surged ahead to win the game 11-7. The second game was all El Welily. 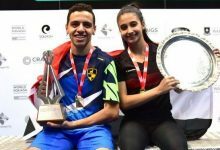 As the authority from Massaro’s game faded away, the 25-year-old Egyptian conceded just two points to take a 2/0 lead in the match. 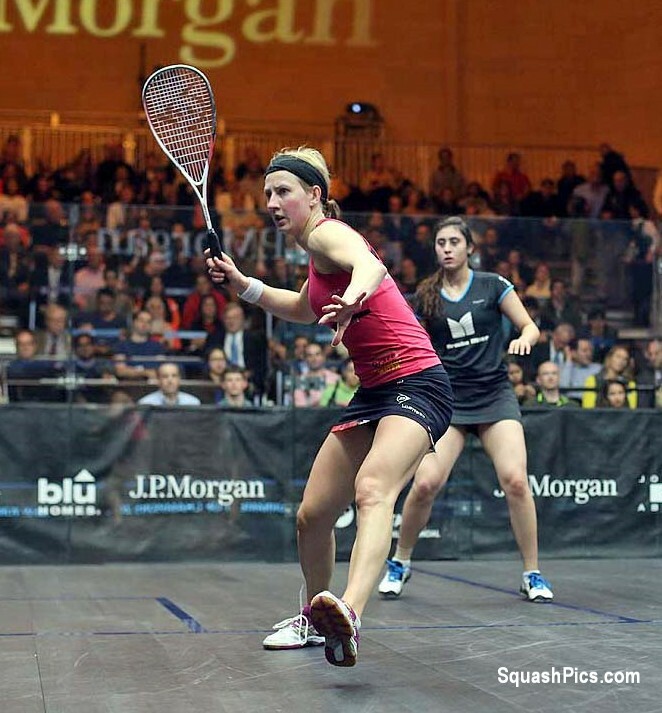 It looked to be over in the third as El Welily had two match balls at 10-8 – but England’s 2013 World Champion put together a string of three fantastic points to win the game 13-11 and keep her hopes alive. 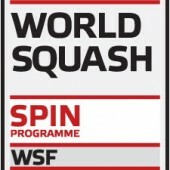 In the fourth, 2014 runner-up Massaro – whose world No2 ranking El Welily took over earlier this month – rode the wave of momentum generated at the end of the previous game to take an early 3-0 lead. 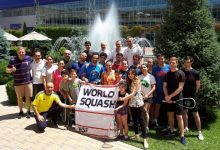 After El Welily tied the game at three-all, the lead exchanged hands through to 7-6, at which point El Welily once again took control to close out the match, winning the game 11-6. 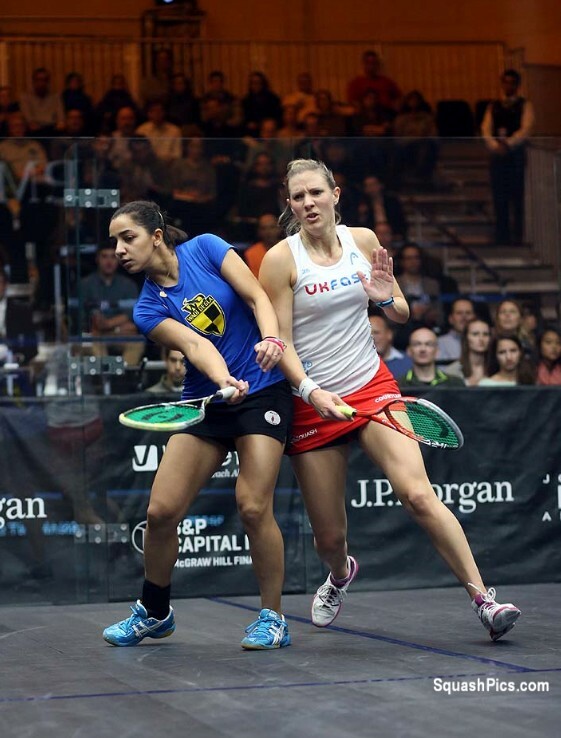 “Each of us was playing well at different times,” observed El Welily, now in the 22nd Tour final of her career. 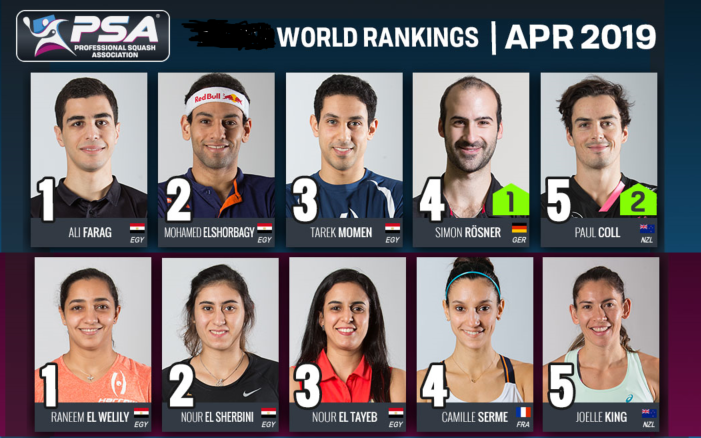 Both finalists will be making their debuts in the climax of the 2015 Women’s ToC – El Welily additionally also becoming the first Egyptian to make the women’s final.